Have you ever had a Chiropractor tell you that you have a short leg (leg length inequality)? Maybe this came as a complete shock, or maybe you already knew that something wasn’t quite right. Either way, if this is you, then you are not alone. As a Durban Chiropractor, this is a fairly common sign that I see in practice. In fact, one research study estimated that about 50% of the population had uneven leg lengths, and that a short leg could be a significant cause of chronic lower back pain.¹ Leg length inequality has also been linked to hip, knee and leg pain, and if left over a long period of time, can lead to degenerative changes of the spine, hips and knees. Your short leg could be the cause of both your pain and degenerative changes! It is therefore extremely important that we properly assess for leg length inequality and provide appropriate interventions to correct it. The good news is, this can often be corrected with the use of a heel lift, but before we get to that, lets discuss what a short leg actually is. A short leg can be considered either anatomical or functional. Simply put, an anatomical short leg is due to a difference in the length of the structures of the leg between the right and left side. This could be due to a number of reasons including birth defects, traumas to the leg, surgeries or asymmetrical growth. This type of leg length inequality is best corrected with a heel lift. A functional short leg is due to a difference in the alignment of the structures of the leg between the right and left side, and is often due to pronation of the ankle or foot (Flat foot). This type of leg length inequality is best corrected with appropriate Chiropractic adjustments and orthotics. Sometimes a patient will have a combination of both an anatomical and a functional short leg. How do we tell if you have a short leg? Our medical history-taking will often reveal clues that you have uneven leg lengths. A patient might mention that they walk with a limp or that their pelvis feels imbalanced. They may have had a history of trauma, surgery or disease that has affected their legs. Chronic lower back pains, knee and hip problems may all point towards a leg length inequality. A lot of our patients have actually been told by a health care practitioner previously that they have a short leg, but nothing was done to correct it. A good postural examination, looking closely at the alignment of the feet, ankles and knees may reveal a short leg. 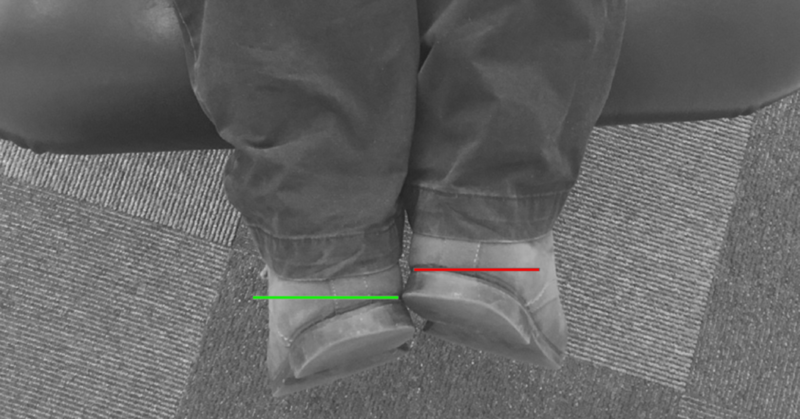 A simple test of observing the patient lying flat often shows signs of leg length inequality. The best way to determine a short leg and to measure it appropriately is through X-rays. 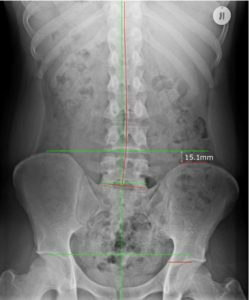 We take specific X-rays of your lower back and pelvis from the front and side. Precise measurements are then taken using the Sacral Base Unleveling and Femur Head Unleveling Techniques to determine exactly how much shorter your leg is. How does your Align Corrective Chiropractor in Durban fix an anatomical short leg? Once we know exactly how much shorter your leg is, we can pick an appropriate sized lift for you. We use specifically sized lifts, imported from the USA. We then have you stand on the lift and take the same X-ray again. 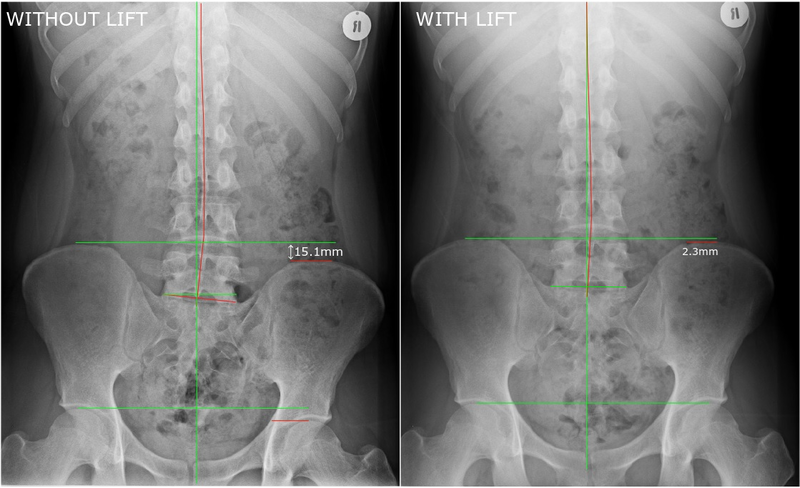 With these X-rays we can visualise exactly what effect the lift is having on your leg length and pelvic alignment. 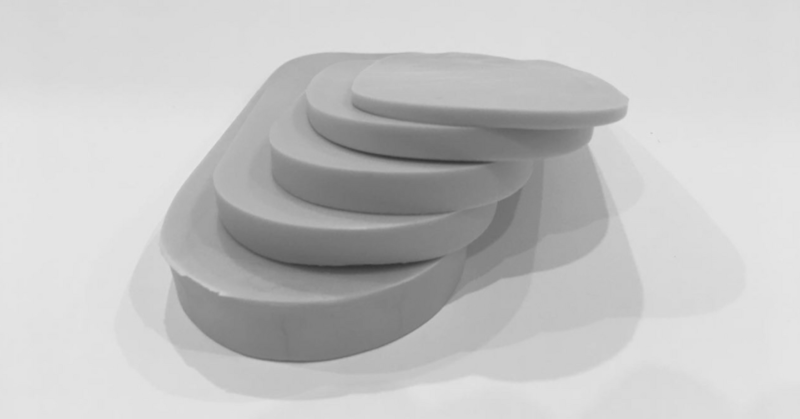 Once we know which size lift will create the best results, we then quite simply have you insert the lift in your shoe. Whenever you wear the lift, it will help to keep your pelvis aligned and well balanced. Next Do I Need A Chiropractic Adjustment?